Bless Our Hearts: Uh, Hello? Treats? She’s so cute. Is she the one that eats cat food? 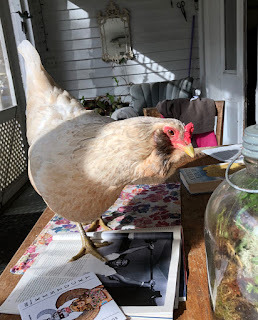 They ALL love cat food, but yes, that's Camellia who actually comes up to the porch and demands it. Gimme some cat food Ms Moon! Exactly! Only I think she may call me "Human." 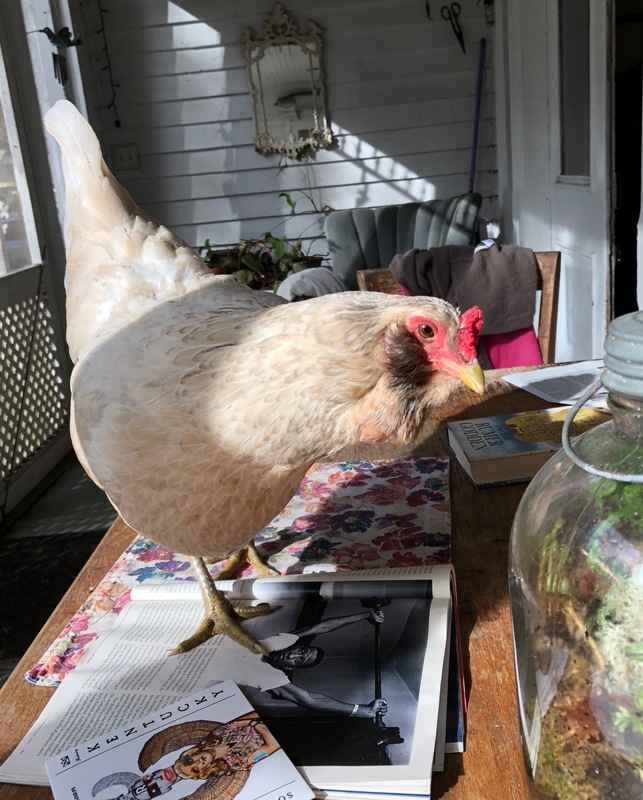 You know, I never envisioned a life where I had chickens on the porch. Yet. Here I am.